Passionate, Exotic, Fiery and Emotive. 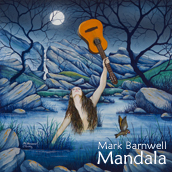 Mandala is a collaboration with some of the world's top musicians, resulting in a diverse mix of styles including energetic fiery Rumbas, Latin Jazz, atmospheric and epic Middle Eastern journeys and relaxing yet captivating New Age music. 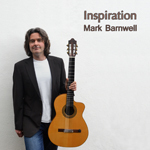 A ground-breaking album, featuring some of the most inspired instrumental Spanish guitar music of today. "Ojos de la Tierra" is a musical journey which fuses Mark's trademark melodic and passionate Spanish guitar work with a variety of instruments and genres from around the globe. The album features some outstanding performances and accompaniments on instruments including viola, violin, bass and accordion. 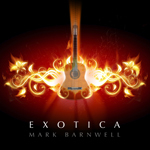 Lucious Latin, Mediterranean Magic and Eastern Exotica make this album a perfect for taking you off to a musical journey to warmer climes. Featuring Spanish guitar, plus great musicians from around the world on percussion, drums, bass guitar, viola, cello, piano, bouzouki and flute. 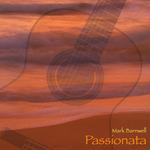 A superb selection of instrumental Spanish guitar music. Contemporary covers from the Gypsy Kings and Eagles, toe-tapping traditional numbers and mesmerizing Moorish Flamenco. This album has the 'feel' of a live, spontaneous performance, with many of the guitar solos being recorded simply by drawing on the 'Duende' (soul) of Flamenco. Please note that CD purchases can now be made with credit cards and you do NOT need to have a PayPal account to purchase a CD.